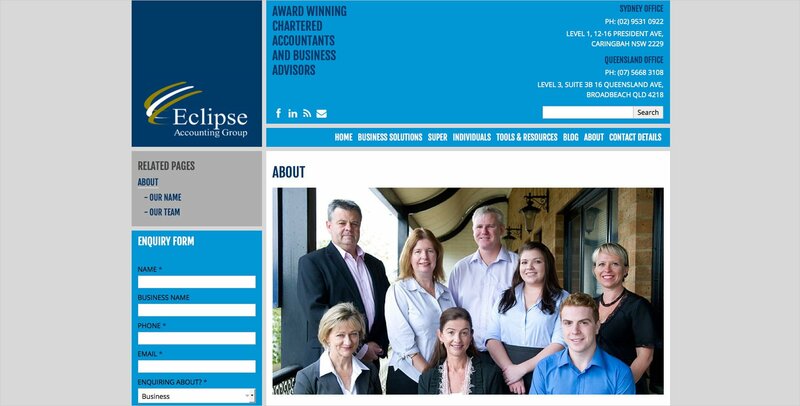 Eclipse Accounting Group are award-winning Chartered Accountants and Business Advisers located in Sydney (Caringbah) and the Gold Coast (Broadbeach). 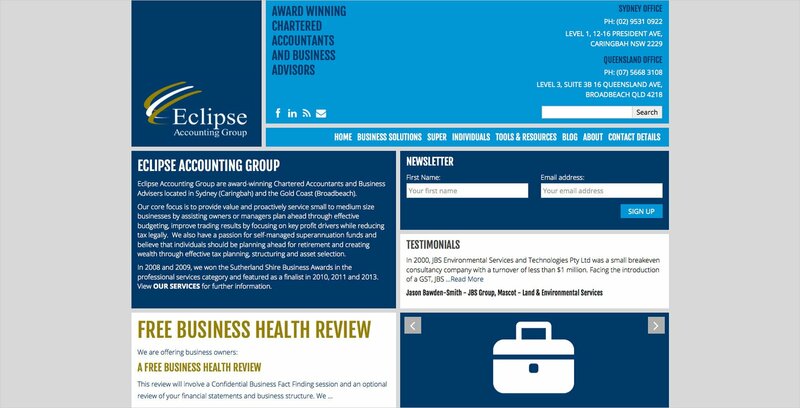 Their core focus is to provide value and proactively service small to medium size businesses by assisting owners or managers plan ahead through effective budgeting, improve trading results by focusing on key profit drivers while reducing tax legally. 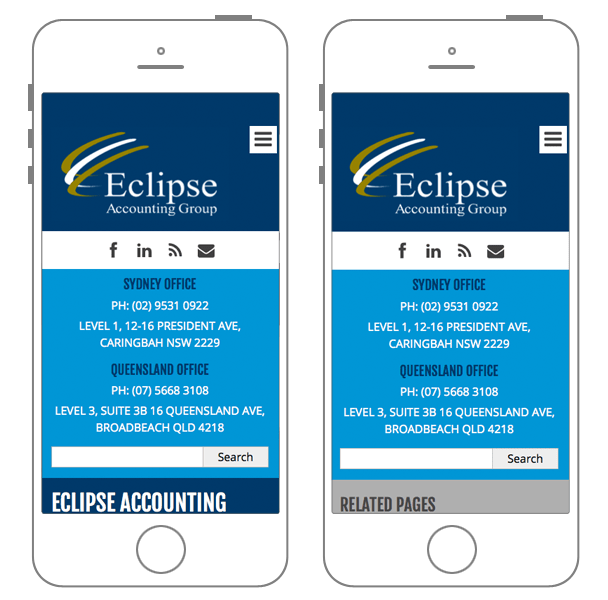 Eclipse accounting asked us to completely overhaul their existing website, creating a modern, mobile-friendly experience that presented the full range of their product and services offering in a clear and engaging way.